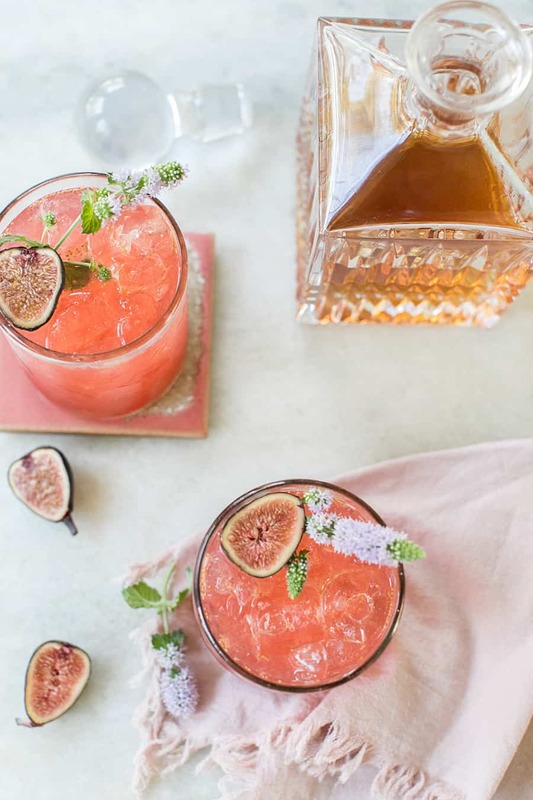 A refreshing twist on a classic Fig Sidecar, this cocktail is perfect for fall, has a beautiful color and uses fresh ingredients, including a homemade fig simple syrup. I’m a little surprised at how much I truly love this Fig Sidecar cocktail! Only because I’m usually not one to order a drink with cognac, but I wanted to find something that would compliment the fall and winter seasons and pair well with figs. The cognac did just that. I figured this would be a nice twist to the traditional sidecar recipe, which also uses cognac, orange liqueur and lemon juice. 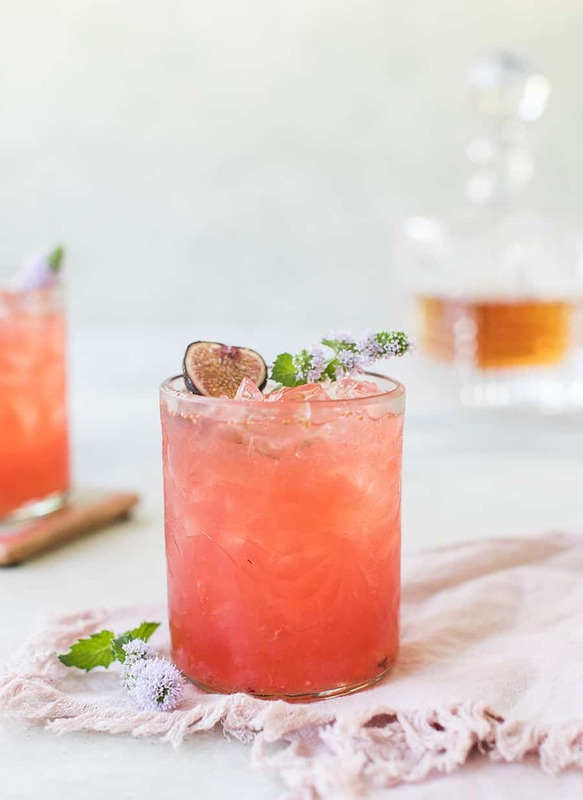 And I love that this fig sidecar recipe is refreshing and lightly sweetened with a homemade fig simple syrup. The sweeter notes of cognac are prevalent too, making it not as strong as you think it would be. It’s really delicious! If you’re serving for Thanksgiving or Christmas, I would add a dash of cinnamon to it. By the way, did you know Cognac is brandy? Not all brandy is Cognac, but Cognac is a type of brandy. It’s a little sweeter and has notes of vanilla, flowers and it’s distilled from wine! For this recipe, I went straight to the stuff I remember rappers singing about in high school… Hennessy (so charming right? Ha!). And it was the first time I ever purchased Hennessy! Making fig syrup for cocktails is really simple. I don’t think of it as a recipe, but rather a few rules I always follow every time I make a simple syrup. It’s an easy formula. 1 cup cane sugar to 1 cup water, to 1 cup whatever fruit or berry you’re using. 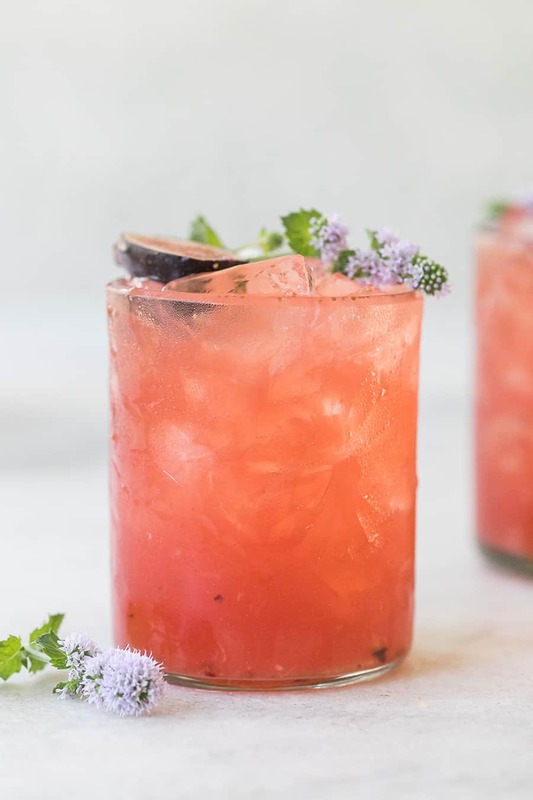 It changes a little with herbs, but usually works with fruit. Let the sugar and water boil until sugar is dissolved, then add in the fruit (I added washed figs cut in half, skin still on them, to the sugar mixture) and then boil again. I usually boil for a minute or two, then simmer for 10, then remove from heat and let it infuse for several hours! Then just strain a few times through a mesh strainer to remove seeds. You can store it in a jar and it will last 5 days in a refrigerator. There is a lot of history about figs too. I love learning little facts, like how figs are actually a flower and they were used as a coffee substitute! They’re also high in alkalinity. You can read more about them here, like when they’re in season and the varieties there are. If you like this sidecar recipe please let us know in the comments! Also, check out some of our classic cocktails here! 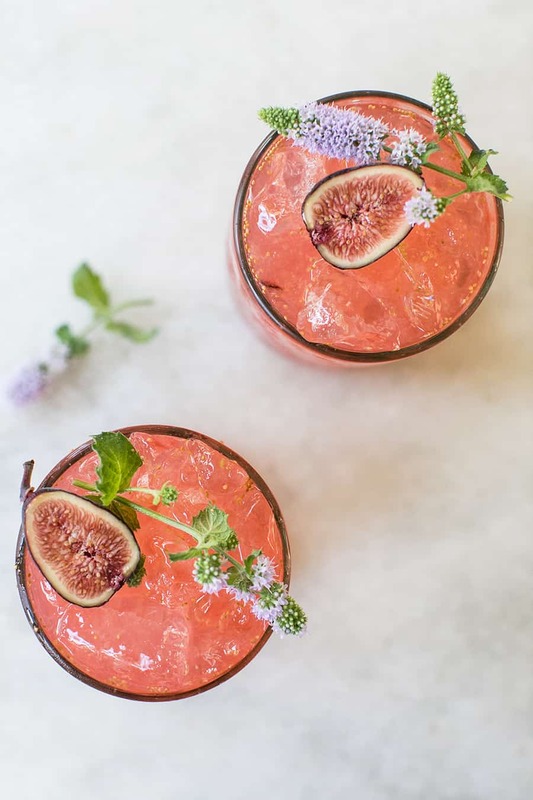 A refreshing cocktail for fall using a fresh homemade fig simple syrup and ingredients found in a classic sidecar. Make the fig simple syrup by boiling 1 cup cane sugar (refined is fine too) with 1 cup water and 1 cup fresh figs, cut in half. Let boil for 5 minutes until fruit is tender. Simmer for another 20 minutes and then let it infuse away from heat. More instructions in the post. In a cocktail shaker, muddle 1 ripe fig. Add in the rest of the ingredients and fill the shaker with two large handfuls of ice. Give the cocktail and hard shake for about 20 seconds. 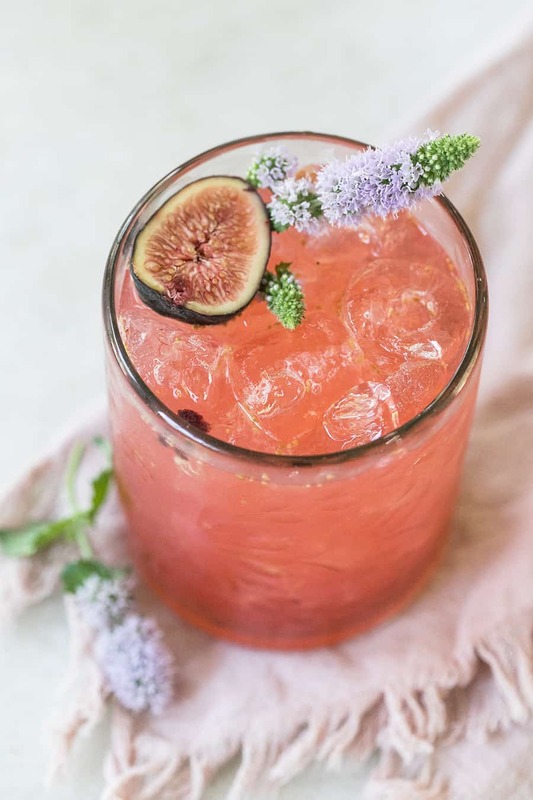 Garnish with a fig and enjoy! Make the simple syrup a few days ahead and store it for 5 days in the refrigerator. Add a dash of cinnamon if serving around the holidays!